Illnesses and injuries don’t always happen during regular office hours. If you need care when your regular doctor isn’t available, how do you know whether to seek care at the hospital emergency department or an urgent care center? Below are some guidelines. 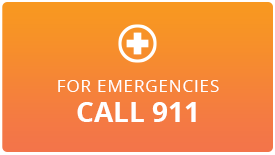 A hospital emergency department is designed to treat serious or life-threatening illnesses and injuries and is always open. An urgent care center is designed to supplement your family doctor’s care after hours, on weekends, or when you are unable to get an appointment. Hours vary but are generally limited to daytime; some offer evening hours. To reduce the chances you will need emergency or urgent care, establish a relationship with a primary care doctor for regular care.